SANTA BARBARA, CA--(Marketwired - Mar 17, 2014) - Samsung Electronics Co., Ltd, and Green Hills Software today announced that Samsung KNOX Hypervisor has been approved for use on sensitive U.S. Department of Defense enterprise networks. The Authority to Operate (ATO), performed under the auspices of the U.S. Marine Corps, includes devices from the Samsung Galaxy line of smartphones and tablets and represents a broad collaboration between Green Hills Mobile, Samsung, mobile network carriers, systems integrators, and the U.S. Department of Defense. Samsung KNOX Hypervisor is a foundational firmware layer of data protection and isolation below the mobile operating system, enabling a level of certifiable security that enhances application-level sandbox mechanisms. Whether devices are enterprise or personally owned, Samsung KNOX Hypervisor enables users to have complete confidence in the privacy of their photos, contacts, e-mail, and other information while enterprise and government IT administrators manage the device's business use with complete assurance in the security of enterprise information both within the device and across the enterprise network. "This industry first for Samsung and Green Hills is further evidence that the Samsung KNOX portfolio provides the scalable security solutions that address requirements ranging from personal consumer privacy to the highest levels of government and regulated industry certifications," commented Injong Rhee, Senior Vice President of KNOX Business, IT & Mobile Communications Division at Samsung Electronics. "For the first time, mobile enterprise users can access the open Internet and Government sensitive networks simultaneously," said Gordon Jones, Vice President of Secure Mobility, Green Hills Software. "This ATO opens up new markets for Samsung and Green Hills, delivering ultra secure mobile solutions on the most popular Android platforms." Samsung KNOX offers several data protection and isolation solutions including container and Hypervisor. Samsung KNOX Hypervisor is a Type-1 mobile virtualization solution (also known as "KNOX INTEGRITY") developed by Green Hills Software and integrated with the Samsung KNOX mobile enterprise solutions suite. Shipping since 2003, the INTEGRITY® hypervisor is built upon security-certified separation kernel technology that provides highly assured isolation between one or more "guest" operating systems (domains) while also providing a native open standard execution environment for security-critical tasks, including FIPS 140-2 certified and NSA Suite B compliant data encryption, user authentication, security event auditing, and remote management. As the digital world grows in complexity, no single operating system suffices. The hypervisor provides the right level of abstraction -- the virtual machine -- for flexibility, scalability, and portability, enabling elegant yet practical solutions to previously intractable computing problems. KNOX Hypervisor is available today. Contact virtual-info@ghs.com for further information. Green Hills Mobile is a business group within Green Hills Software, the largest independent vendor of embedded software solutions. Green Hills Mobile's Type-1 hypervisor, INTEGRITY Multivisor, is built on INTEGRITY separation kernel technology. INTEGRITY is the only separation kernel technology to be certified by the NSA to EAL 6+, High Robustness, the highest level of security ever achieved for any software product. These open architecture integrated solutions address absolute security and high-reliability applications for the consumer electronics, medical, industrial, automotive, networking, avionics and other markets that demand industry-certified solutions. 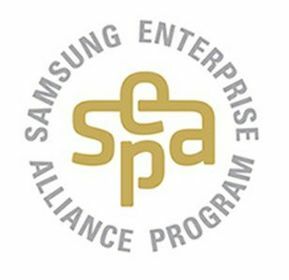 Green Hills Mobile is a gold member of Samsung Enterprise Alliance Program (SEAP). Green Hills Software is headquartered in Santa Barbara, CA, with European headquarters in the United Kingdom. Visit Green Hills Mobile at www.ghs.com/mobile. Green Hills, the Green Hills logo, INTEGRITY, Multivisor and "Powered by INTEGRITY" are trademarks or registered trademarks of Green Hills Software in the U.S. and/or internationally. All other trademarks are the property of their respective owners.